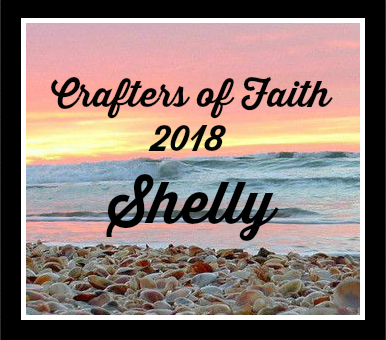 Shelly, love the washi tape and your image cut out. Thanks for joining us at the Holiday Chaos 2017 Color Challenge, Lisa Lynn GDT. 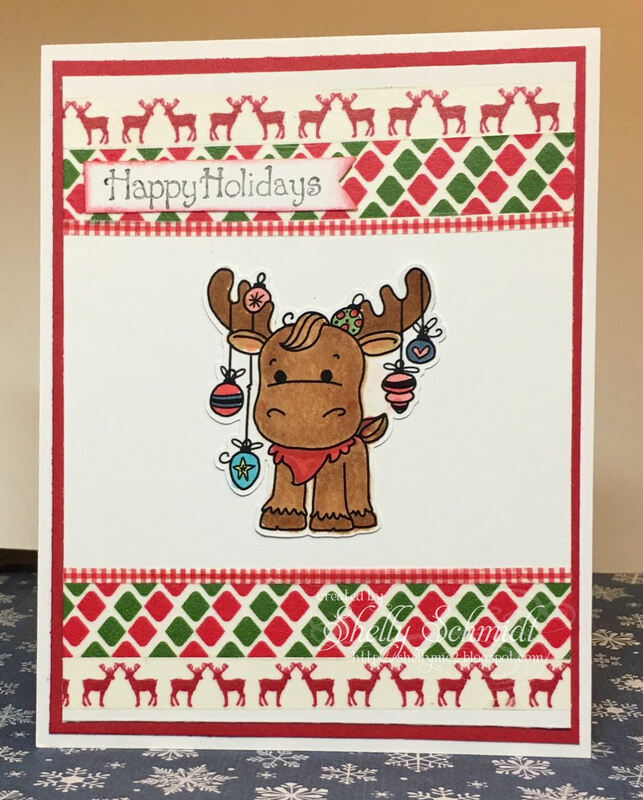 Shelly, the moose on your card is just adorable! And I love the background... almost looks like a well loved sweater. 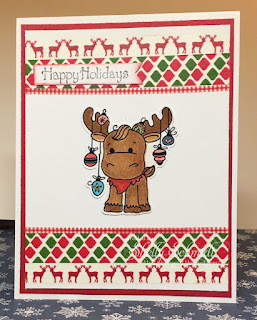 Such a cute reindeer Shelly and another fab card. Duh! Why did I say reindeer when it is clearly a moose? Marilyn must have had some vodka in her coffee this morning! So very cute. 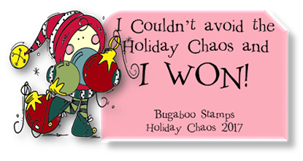 Thanks for playing along with us during HOliday Chaos at Catch The Bug. So adorable Shelly. I hope you were able to complete the whole week. I didn't quite make it. Other priorities got in the way. 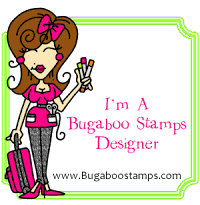 Love you fun moose though and a great idea to use the washi tape! Have a wonderful weekend! Your well-adorned moose sure looks cute with your wonderful washi tape framing, Shelly!! Super cute holiday card!